Despite having a population of only 22,000 and being the second smallest of the Canary Islands, La Gomera is home to a distinctive and vibrant culture. Christian, national and local holidays make up the annual calendar and are combined with colourful fiestas and traditional harvest celebrations. Bajada de la Virgen (Descent of the Virgin) is one of the most popular festivals on the island and occurs over a three-month period once every five years in honour of the Virgin des Las Guadalupe. 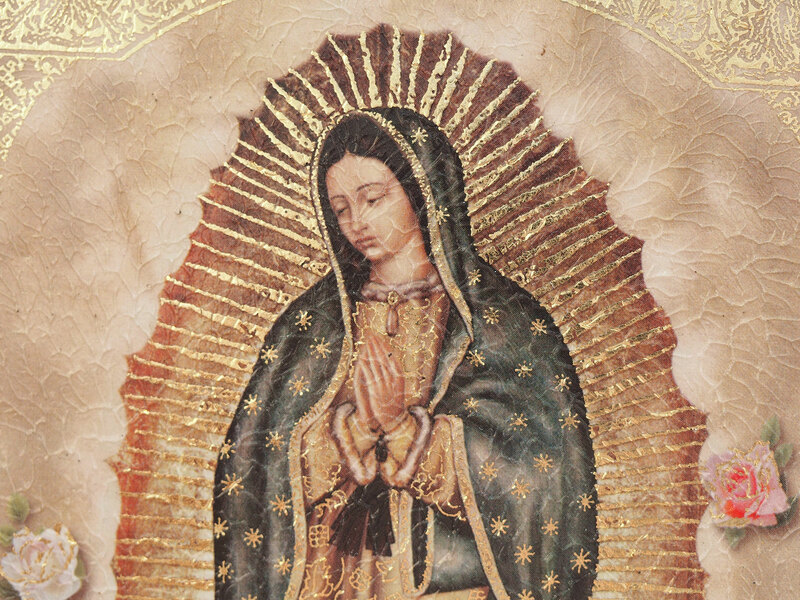 The Virgin of Guadalupe is the Catholic title of the Blessed Virgin Mary who is also the patron saint of La Gomera. Legend states that in the 16th century, during the early years of the colonisation of the Canary Islands, a boat heading towards the American continent sailed past the coast of La Gomera. As the ship sailed close to the island, the crew noticed a series of dazzling lights coming from the hillside, close to the port of San Sebastian. They climbed ashore to investigate further and, as they entered the cave from which the lights were shone, they discovered a statue of the Virgin Mary. The statue, which was declared Patroness of La Gomera and named for Our Lady of Guadalupe, leaves her chapel to visit a variety of other churches throughout the island. The figure is carried from her chapel and followed by crowds of people on her journey. Within each of the communities visited, a series of processions take place and every street is magnificently decorated. Young and old alike participate in the celebrations, while many who have previously left the island try to return in order to celebrate alongside friends and family. The Bajada da la Virgen Festival was last held on the island in October 2013, meaning that the next festival is just over two years away. La Gomera is known for its distinctively unique culture and one of the best ways to fully appreciate everything this island has to offer is by staying at the luxury Fred. Olsen-owned Hotel Jardin Tecina. If you would like to find out more about booking your perfect retreat holiday, contact us via the freephone number above.